In Temperate sub-tropical all the Pleiones are coming into flower. Also there are lots of Coelogyne cristata in flower, so temperate sub-tropical is full of flowers. Take a look. Unfortunetly the webcams are not all working. All though all the webcams are not up and running you can still see some of what is going on. This week You can see us labeling plants with price labels, getting ready for the London show, and for some different name lables as some of the plant names have changed like sophronitis has changed to cattleya and a few others. Also the orchid of the week is back up and running to help keep you on top of what is going on. I’m very pleased to announce today that our Webcams are now back online! Dan and I puzzled over them for a while, and couldn’t figure out what was wrong. We formulated a couple of theories, that I took to our IT department this morning, and they had the things back online by lunchtime! Big, huge, enormous Thank-You to them! Prosthechea livida grows in central and south America and in our greenhouse we grow it in warm America. 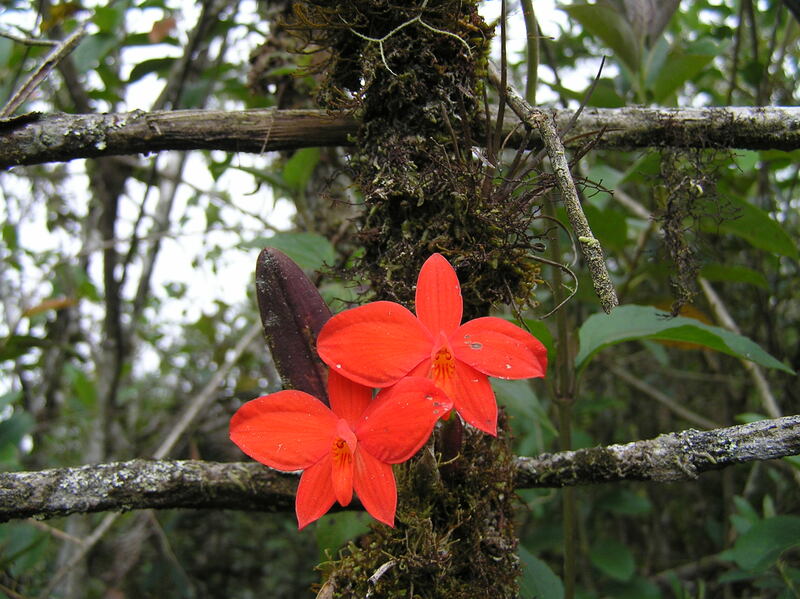 It is cool to hot growing and is found on thin branches or main tree trunks in rain forests. No Comments on Valentine’s Orchids? I don’t know about making controversial comparisons, but I definitely think this plant deserves to get a word in! Here it is flowering in the wild, in Brazil. What do you think?